Set on the outskirts of Brighton, Benfield Junior School is a primary school which was in need of a facelift. 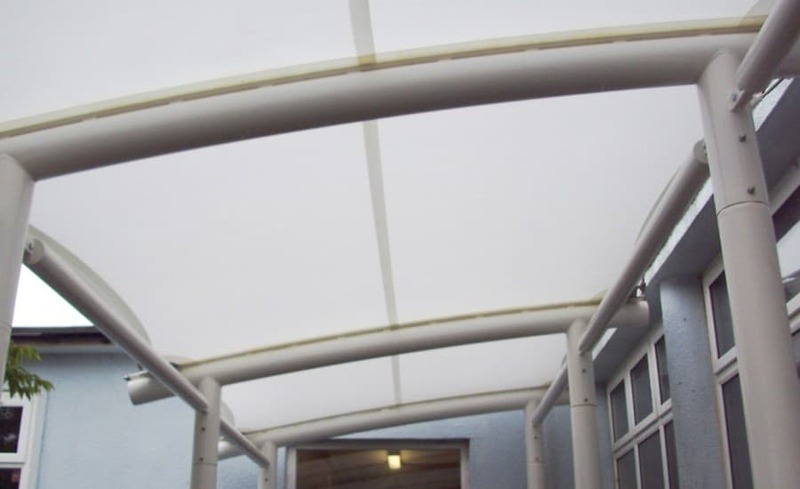 Lacking in outside space, with outdated classrooms and social spaces, the school board instructed a complete overhaul including two new tensile fabric structures in particularly exposed parts of the school. Despite the original plan being to install lightweight Perspex type structures, the client and architect were interesting in investigating a tensile fabric option. 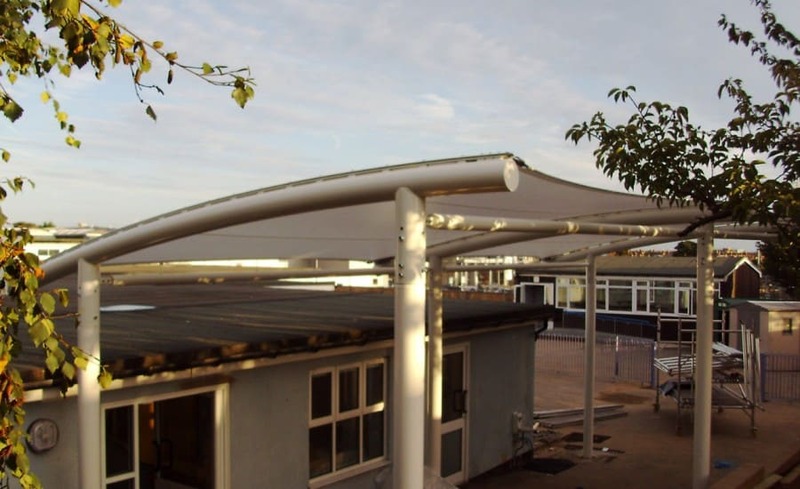 The Architen Landrell sales team offered them various design styles, but after seeing the walkway structure we installed at St Werburghs School, we had hit upon a winner and they decided to pursue this option. Once decided on an approach, Evolution Architects contracted Architen Landrell to design, manufacture and install both canopies in order to achieve a uniform aesthetic; one, located next to the nursery block and designed as a simple outdoor play canopy and the other, located outside the dining room, provides a place to shelter beneath when queuing for lunch. 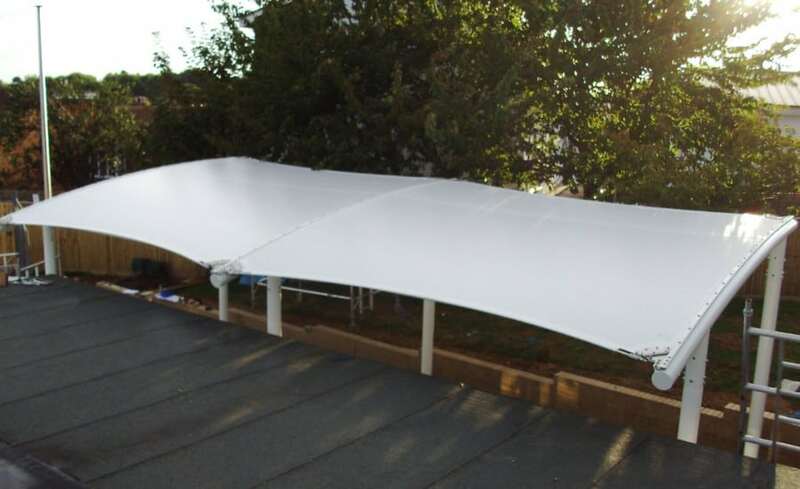 Both canopies are constructed from silicone coated glass cloth as it translucency level and the different quality of light which permeates through the fabric. Design and installation were both complicated as the working space around each canopy was minimal and risks needed to be carefully mitigated. The dining room canopy was located as close as possible to the building on two sides, and the ground was steeply landscaped on a third; this meant increased site time and a need for our highly experienced installation team.